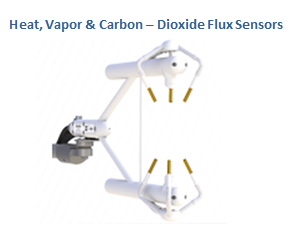 SENSORS & CALBRATORS - Al-Worod Al-Dania ES Co.
Our supplied sensors are generally designed for long-term installation under adverse environmental conditions. 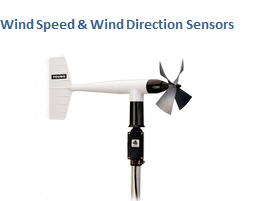 Most of these sensors listed below measure environmental and water resources parameters, but the data loggers are not limited to measuring environmental sensors. Sensors used in industrial applications such as strain gages, accelerometers, hydraulic pressure transducers, are also available. The data loggers have many channel types and programmable inputs, enabling them to measure most commercially available sensors. Based on the demands for better quality control, increased production efficiency, reduced energy consumption, and accurate measurements of variety parameters of meteorological, hydrological and industrial processes, temperature and pressure must be accurately controlled. Data from the applied measuring equipment or sensors however does not always provide the required accuracy to the process. Before the measuring equipment can accurately control the process or give the measurement, the equipment or sensor itself must first be measured accurately. This is important since data from temperature and pressure instruments directly affects the quality of the products or measurements produced, the efficiency of production processes, and the quality of the products delivered to the customer or user. As a result, there is a growing necessity to have a calibration instruments for the main sensors that can be considered by the customer as their own calibrators.